Andrew Papastephanou, born in 1976, began studying piano at the age of seven and trombone at the age of nine. When he was eleven, he started studying piano privately at Towson University with virtuoso pianist Renaldo Reyes. At this time, he became fascinated with learning additional instruments. He was fortunate enough to have a band director in middle school who allowed him to stay in the band room after school to learn percussion. He continued his piano studies with Reyes and Rebecca Kooken. Andrew took every opportunity he could to play in instrumental ensembles. Again, he had the good fortune of a band director who gave him the freedom during class to study percussion, euphonium, and tuba, in addition to trombone. At home, he learned to play the electric bass. Andrew graduated high school with the Departmental Award for Music. In 1994, Andrew began studying electrical engineering at Virginia Tech in Blacksburg, Virginia. He also took classes in political science and continued with his musical training. While at Tech, he performed in numerous ensembles, including the Marching Virginians, the Virginia Tech Trombone Ensemble, the Virginia Tech Tuba Euphonium, the University Symphony Band, the University Wind Ensemble, and the State Your Name Theatre Company. The turning point came in 1996, when Andrew switched majors from engineering to music. He chose trombone performance because of the emotional characteristics of the instrument. He studied trombone under Dr. William J. Crone, while continuing his private piano studies with Mary-Louise Hallauer. He continued playing in various ensembles, and also joined The New River Valley Symphony, The Virginia Tech Tuba Quartet, the Quantum Brass Quintet, the Virginia Tech Jazz Band, Jazz Lab, various funk/rock/ska bands, and various summer workshops and festivals. In 2000, Andrew graduated with a Bachelor of Arts in Music Performance. That fall, Andrew moved to Lausanne, Switzerland to study trombone and euphonium with David Bruchez and tuba virtuoso Roger Bobo at Le Conservatoire de Lausanne. During his one year stay, he played with the Conservatory Chamber Orchestra, STuba (the Swiss Tuba Ensemble), and the ARCAD Brass Quintet. He also sang in the Conservatory Choir, and played piano, trombone, and acted at Le Petite Theâtre children’s theatre. In addition to his studio consulting, Andrew is currently a composer and producer in the Los Angeles area. Using his in-depth knowledge of technology, modern music, and classical musicianship, Andrew is able to create music that engages his listeners at an emotional level. 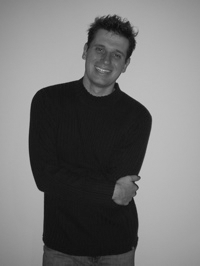 Andrew Papastephanou was first introduced to composing and MIDI sequencing at the age of ten on a Macintosh Plus computer running Performer, and has been writing in some form of studio ever since. Andrew began studying electrical engineering at Virginia Tech in Blacksburg, Virginia in 1994. He studied sound engineering and music technology with Michael Dunston, and John Husser. He began doing technical work for the university, including live sound engineering and lighting design for various university events. Although Andrew changed his major to trombone performance in 1996, he continued studying studio engineering and multimedia development with Dunston. In 1998 he also began helping to develop distance learning courses for the university’s Institute for Distance and Distributed Learning. Andrew graduated in 2000 with a Bachelor of Arts in Music Performance. In 2001, after spending a year studying trombone and euphonium in Le Conservatoire de Lausanne in Switzerland, Andrew moved to Los Angeles, California to join his brother, Chris, as a consultant in the music industry. This opportunity has allowed him to combine his technical and musical expertise into a business where he can provide a wide variety of solutions for his clients, varying from computer networking and studio design to engineering and composition. In the past few years, he has been fortunate enough to work with a diverse group of clientele that includes George Duke, Mark Snow, Sean Callery, Olivia Newton-John, Carol Bayer-Sager, Paul Anka, William Ross, Steve Kipner, David Frank, and many others.